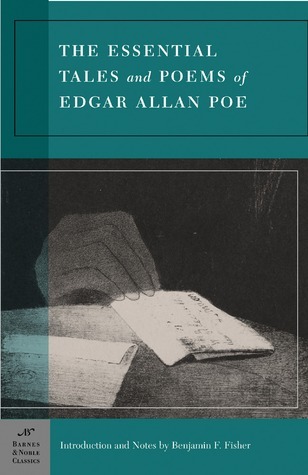 **I read this short story as part of a collection, The Essential Tales and Poems of Edgar Allan Poe, that I picked up at a library sale months ago. 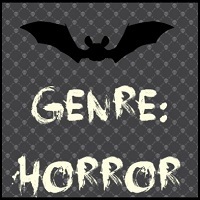 I'm kind of glad that I remembered I had it, because I couldn't quite figure out what to read for the 'Genre: Horror' square--although, I'm not entirely sure The Murders in the Rue Morgue seems very horror-like, even though it is tagged as such on Goodreads. I might read another couple Poe short stories from this volume to make up for it if this particular one doesn't really ring as horror. I'm going to be honest, I totally didn't see that one coming. I have to admit, this is my first actual reading of a story by Poe, though I have read some of his poems. Being that poems aren't really my thing, I'm ashamed to say that I never truly comprehended his work and kind of wrote him off as over-hyped, classical, high school required reading. Truthfully, I found The Murders of the Rue Morgue extremely engaging. The beginning was a bit slow to build up, but once Dupin began his deductions and analysis of the murders, I couldn't stop reading. It was easy to follow where his deductions were heading, and when it "dinged" in my head, at the same time as it did for the unnamed narrator, I was, at first a bit taken aback... and then I didn't know what to think. To be honest, the conclusion that Dupin comes to, as well as the final reveal, kind of requires quite a bit of suspension of disbelief. It was a little over the top. This short detective story was quite the experience and a nice read for Halloween Bingo. I'd admit though, even though this book is tagged as horror, I don't know if it really feels like horror--though the murders were pretty gruesome. There was quite a bit of detail and I might of made a face at the description of Madame L'Espanaye's... mutilated body. On a side note, Dupin kind of reminds me of Sherlock Holmes (what little I've read of the famous detective), both in demeanor and arrogance.